In contrast to Norway and Sweden, Denmark is rather flat and actually quite suitable to the operation of cavalry. Thus, the Danish Army included a fairly good proportion of it. There were three regiments of Light Dragoons in 1801, each of four squadrons. Book strength for the squadrons was 160 men, but they averaged closer to 120 men in the field. A fourth regiment was added in 1808. There was also a Hussar regiment of 4 squadrons, later increased to 6 squadrons. The regiment also included an additional single squadron of Lancers, the Bosniaks. The Light Dragoons (Lette Dragoner) wore a short red jacket, similar to that worn by the infantry. All regiments had buff colored frontal turn backs (long jackets and conventional turnbacks for officers, once again) and white metal buttons. A "Tarleton" type helmet was worn. The turban on this varied in color by the regiment, as did the facing color which appeared on the collar, cuffs, lapels, and shoulder straps. A white plume tipped with red was worn on the left side of the helmet until it was abolished in 1813. Pants were dark blue with a broad red stripe down the outside seams, with white metal buttons. 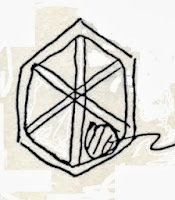 The shabraque (saddle blanket) was red with white (silver for officers) borders and ornamentation (see drawing). 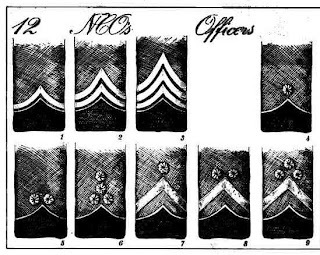 Officers wore silver epaulets and the crimson and yellow striped sash until 1812, when both were officially discontinued and replaced by rank markings on the sleeves similar to those used by the Infantry (see Part 3 of this series). Boots and cartridge boxes were black, white belts. Trumpeters had wings in the facing color with piping and tassels in the piping color, and may have had red crests on their helmets. The Danish Hussars wore a fairly standard Hussar pattern uniform, with a light blue dolman with carmine (red) collar and cuffs, with white lace piping. The Pelisse was carmine red with black fur, buttons and cording were white. A red and white barrel sash was worn. Belts were brown leather. Fawn coored pants, dark grey with a red stripe and buttons down the outer seam for undress wear. Shabraque was carmine red with a light blue "vandyking" pattern to the border, piped in white . Sabretche was light blue with white royal monogram in the center, red "vandyking" border piped in white. It was suspended by red slings with white metal fittings.Harnesses were black with whiite cockle shell ornamentation. Headwear was a black "Tarleston" type helmet with a red turban and a white plume tipped in red on the left hand side from 1801 - 1807;. In 1808, a tall black cylindrical shako was adopted, with white tape ornamenting the top and bottom, and in a diagonal across the front. A silver badge with a red center was worn on the front of the shako. Thin red cords were worn on the shako (red mixed with gold for officers). Evidently a black fur Colpack in the French style was another authorized option for head wear. Officer's dress was similar to that of the men, except with silver substituted for white. I have no information about the dress of the trumpeters. This squadron of Lancers attached to the Hussras had a uniform in similar colors. From 1801 - 1807 they wore a rather exotic uniform, with a light blue cossack style jacket, with red facings. An Arab style red Fez with a white turban and white ostrich plum feathers was worn on the head. The pants were light blue. There is an image of this unusual costume, which differs in some details from the above, in the NYPL collection, here. From 1808 - 1815, the uniform changed to a more standard Uhlan style, with a light blue jacket and red facings, light blue pants, and a cazpska with a red top and white plume. Shabraque was probably the same as for the Hussars. Lance pennons ?? red over white. No information is available to me about the dress of the officers or trumpeters. The only picture I could find of this later style uniform is this one, again from the NYPL collection; I have doubts as to it's accuracy. Now, on to some pictures! Light blue facings with light yellow piping, light blue turban with thin white diagonal stripes on the cloth turban. Once again, the pairing of the red jackets with the dark blue trousers is very attractive! The Danish Hussars (Hussarregiment). I can't recall if these Minifigs were specifically designed to be Danes or not. A somewhat blurry side image. At the time when I painted these troops, I didn't have the detail about the saw toothed edge to the shabraque available to me. Likewise the sabretache was painted without some of the details I posses now. Still, quite a handsome unit! The Bosniaks - a single squadron of Danish lancers! These are Minifigs Grand Duchy of Warsaw Line Uhlan figures, IIRC. Some of the details of how I have painted them are necessarily somewhat speculative, given the limited information available. I think you could drive your local Grognard crazy asking him to identify *this* unit on the tabletop, eh? 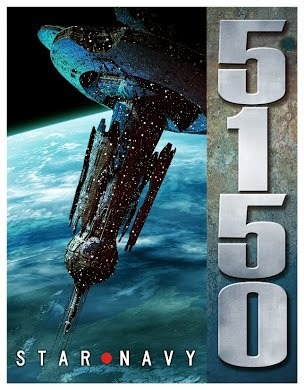 I have been doing a lot of thinking about Sci Fi Naval gaming recently. Unfortunately, that is all I have been doing! I really need to put some ships on the table and roll some dice!. Anyway, my thought shave variously involved Star Navy 5150, Galactic Knights, and Piquet. As my largest fleets are the Carnivorans and Avarains, my first games (and maybe campaign) will involve them (aka Star Navy vs. Hishen). 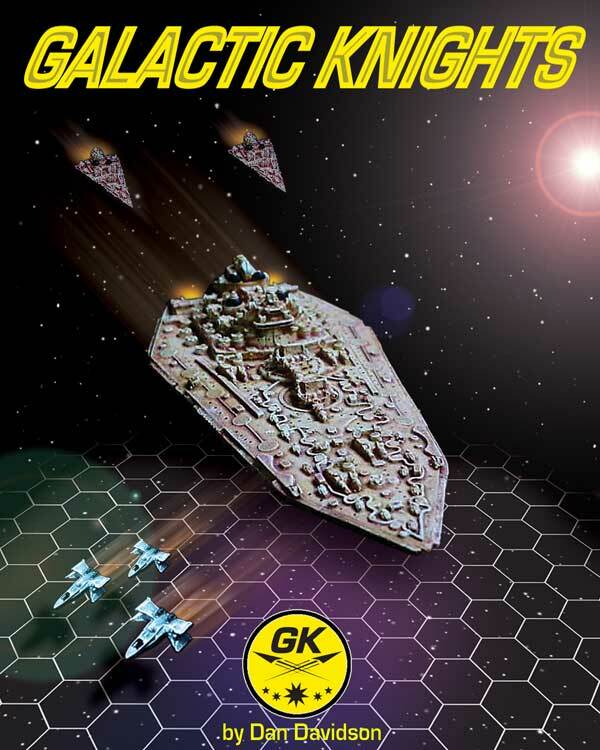 I also want to play some more games with Galactic Knights as well, exploring the concepts and various weapons systems further, and perhaps adapting the Star Navy 5150 campaign system for use with those rules. 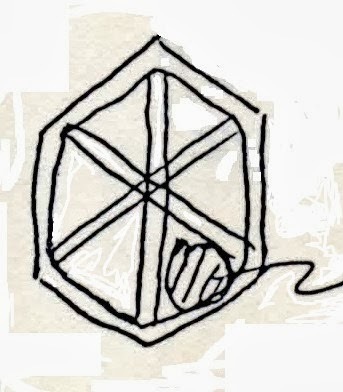 None: 2 pips per "hit"
Level 1: 3 pips per "hit"
Level 2: 4 pips per "hit"
Level 3: 5 pips per "hit"
Crew Quality: used for "Morale" rolls, repairs, and by comparison with the enemy, as a modifier to weapons and or defensive dice. AA (anti missile/anti-aircraft defensive fire) _this is probably a number of shots, maybe using Level 1 Beams as in GK? Another decision would be whether to use Jump Points a la Starfire/Weber's books; an advantage of this is the strategic importance of Jump points as well as their locations. Downside is the necessary record keeping. Thus it is probably simpler to stick with an unrestricted Jump Drive, except on a scenario basis. Some weapons might have special effects , including Piquet style "at least one system lost" and Double, Triple etc the defender's roll. This could also determine Critical Hits, and/or ship Morale checks? Ship/squadron/Fleet Morale and some for of Piquet style Morale points to force battles to a decision before every last ship is venting plasma. Initiative: Charlotte Rule of 1/3 vs FoB style -.Movement by squadrons? I think this one would work well using the Hand of cards - # dependent upon Admiral Quality? Obviously, MOVE cards would have to allow movement by both sides, but with some advantage(s) to the side playing the card. Lots to think about, but first I should more thoroughly Explore what I have already, eh?! The Norwegian and Danish Liv (Life) Regiments were among the oldest in the army, and considered a step above the rest. Other than their straw yellow facing color, their uniforms were identical to the rest of the Line regiments. The organization of the Liv regiments was essentially identical as well. Den Kongelige Livgard til Fods consisted of a single battalion of 4 companies, 120 - 160 men each. They were stationed in Copenhagen and saw action only against the British invasions of 1801 and 1807. Their uniform consisted of a red coat with long conventional tails (unlike most Danish troops of the era). The conventional turnbacks were white, and the collar cuffs were light blue, piped with silver lace. There were 4 wide bands of silver lace across the front of the coat. Buttons were silver, as were the shoulder straps. Cross belts were white with a silver plate where the belts crossed. Cartridge boxes were black with a small silver grenade in each corner, and a silver plaque with the royal cipher in the center. Pants were dark blue in winter, white in summer. A black bearskin was worn, with white cords and a white plume with a light blue tip. The front was decorated with a silver plate bearing a gold coat of arms. The bearskin had a peak. The bag on the back was light blue with white piping and tassel. Officers dressed the same as the men, except that they had gold cords on their bearskins, silver epaulets, and the usual red and yellow striped sash. When dark blue pants were worn, they were decorated with a silver stripe down the outside seams, as welll as silver "Hungarian knots" on the front. This regiment's grenadiers have abandoned the bearskin, as ordered in 1813, wearing instead the tall, white plume with a light blue tip on their shakos. The King's Livgard of Foot (Den Kongelige Livgarde til Fods). The more ornate standard has the Royal Arms of the Kingdom of Denmark. Note the ornamentation on the cartridge boxes. The Danish regular light infantry consisted of Jager Corps (Jaegerkorps), in which half the men were armed with rifles and the others with sharpshooter muskets, and Sharpshooter Corps (Skarpskyttekorps), in which all the men were armed with sharpshooter muskets. I have conflicting information as to the composition of these units. One source says 80 men per company, with 4 companies of Jagers or sharpshooters, and one of Jager-Grenadiers. Another implies that only certain units had Jager Grenadiers, and gives a battalion strength of roughly 576 men for Jager battalions and 548 for Sharpshooters (and doesn't list the Jutland Jager Corps at all). In any event, second ("reinforcement") battalions were added to all of the units in 1808. In general, these were of the same overall pattern as the Line infantry, previously covered, with different colors substituted. The short jackets were dark green, with black facings on the collars, cuffs, and lapels. all piped in white. White turnbacks at the front of the jackets. 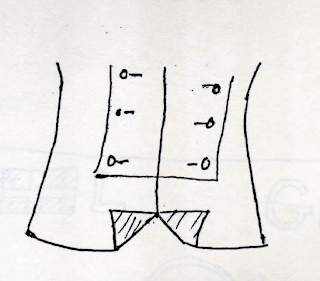 Shoulder straps and button col,or varied by the unit, as detailed below. Pants were either white or grey. All belts were of blackened leather. Hansen shows some light infantry officers wearing dark green pelisses with grey fur, and silver grey lace, and green pants in 1813 - quite classy! Like the Line infantry, officers wore sashes of crimson striped with yellow. Headgear was also similar to the Line Infantry. Hats with turned up brims were worn through 1807, with short dark green plumes and dark green cords, white hat bands for most. Officer are shown with bicones with green plumes, or hats similar to the men, again with green plumes and gold cords. Jager Grenadiers wore a headdress again similar to the Line infantry Grenadiers, with a black metal front with a brass banmd on the bottom, a black peak, a green transverse caterpillar crest running from ear to ear, a green plume with a red tip on the left side, and a dark green cloth flamme at the back, with white piping and tassel (the NYPL site has a good picture of this uniform, #27 in the Danish Napoleonic section). In 1808, officers and men adopted the shako. This again had dark green cords and plumes for the men, dark green plumes and red mixed with yellow cords for the officers. The Jager-Grenadiers now wore a black bearskin with a green plum tipped in red on the left side, and a dark green bag on the back, piped white. The Kongens Livjaeger Corps was a volunteer light infantry unit raised from upper middle class citizens of Copenhagen in 1801. Initially, only 2 companies of 80 men were raised, but it was increased to 4 companies due to the threat of attack by the British. The companies were increased to 100 men each in 1806. The unit fought with distinction in the defense of Copenhagen in 1807. In 1815, it was the only volunteer unit not disbanded, and was ranked just below the Guards and ahead of the Line troops. The men were armed with rifles, supplied by the King. The uniform of the Corps was short dark green coat with black collar, cuffs, lapels, and small black frontal turnbacks. Dark grey trousers were worn (dark green for full dress). There was black lace on the jacket and also the pants. Belts were black, and black boots with black tassels were worn. The headdress was rather unique six sided czapska with a dark green wide band around the bottom, green cords, green cockade surmounted by a large green pop-pom on the left side. Officers had gold epaulets, and in full dress, gold piping on on the facings, turbacks, and lace. Yellow sashes with red stripes were also worn by the unit's officers, a mark of special distinction for a volunteer unit. Initially the officers wore a sort of Tarleton style helmet with a green fore and aft caterpillar crest and a leopard skin hat band, but in 1806 they switched to a six-sided czapska like the men.A dark green pelisse with black fur, black lace, and brass buttons was also worn as an option. Black facings piped white, silver buttons, white pants. I used the Minifig models for the Livjagers for these units, but strictly speaking the castings for the Line infantry in shako would be correct, just painted in the colors of the Jager uniforms. The Jager-Grenadier company is seen on the far right of the line. Note the wings on the jacket of the hornist, and the bag of the Jager-Grenadier's bearskin. A good view of the unique six-sided "czapska" in this picture. Hornists wear the same uniform as the men, with the addition of black wings with yellow lace and tassel ornamentation. The Livjagers suffered over 25% casualties at the battle of Copenhagen in 1807. Next time: The King's Livguard of Foot and the Liv Infantry Regiments. 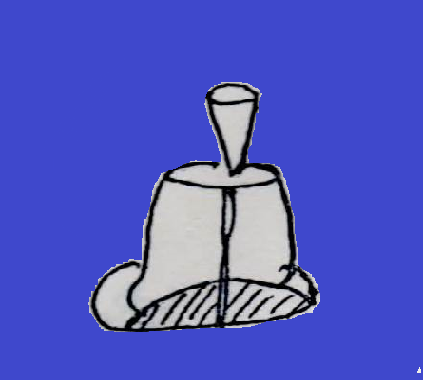 A sketch of the 1801 - 1807 Infantry hat, viewed from the left side. It is sometimes shown considerably taller, and with the brim rolled up all around instead of just on the left side. 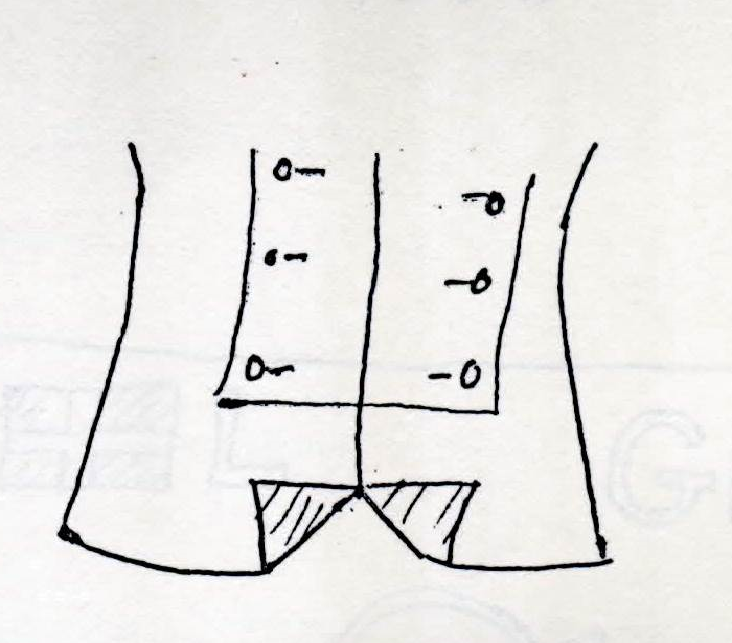 A sketch of the pattern for the short Danish jackets, showing the frontal turnbacks unique to them. Light blue facings, white piping, yellow metal buttons. Note the black belts on the Jager company. The officers should actually have mixed yellow and crimson cords on their shakos/bearskins. Each of the regiments had a unique combination of facing color, button color, and piping (or not). See the table in my earlier post for the details by regiment. Black facings piped white, white metal; buttons. Overall, a striking unit, and a popular one with military artists. Hansen's excellent plate of this unit is shown on the Chakoten site, here. Click on the plate for a really good, up close view! Properly, it seems that this unit was disbanded prior to the adoption of this later style of uniform, the men being in part used to expand the Marines, before those troops were in turn used to form the new Copenhagen regiment. As Zealand is the name of the island on which Copenhagen is located, in retrospect it seems to have been somewhat like a Danish shell game! Next time: The Danish Light Infantry. In 1808, the majority of the former Militia, which had performed poorly at the 2nd Battle of Copenhagen the preceding year, were disbanded and the best men taken up into the Line regiments. These men were used to form new 3rd and 4th battalion for each Line regiment. The composition of these battalions was the same as that of the 2nd battalion, i.e., they had Jagers as their elite company. These were initially designated as "Reinforcement Battalions", to be used only in the event of war, and initially were probably rather inferior troops. Over time this difference seems to have disappeared. There were no uniform distinctions between the older and the newer battalions of the regiment. The paper strength of a full Danish Line Infantry regiment of four battalions would thus exceed 3,200 men. It is doubtful that such numbers were ever achieved, especially on active service! Red had been the traditional color of Danish infantry uniforms for more than a century already, and no change was made to that until circa 1850. The shade is often described as "crimson". The style of the jacket was unusual, almost reminiscent of the Russian "Potemkin" uniforms of the late 18th century. The jackets were short and lacked tails. There were two small triangular patches of cloth turned back at the *front* of the jacket. Knoetel states these were white for all Line regiments, although the Osprey and Tradition articles both (see sources below) shows the Oldenburg regiment with buff colored turnbacks. Officers wore long red coats with traditional turnbacks at the back of the coat. The facing color was shown on the collar, cuffs, shoulder straps and square lapels; some regiments had their facings piped in white, others not. Buttons were brass or pewter depending upon the regiment. 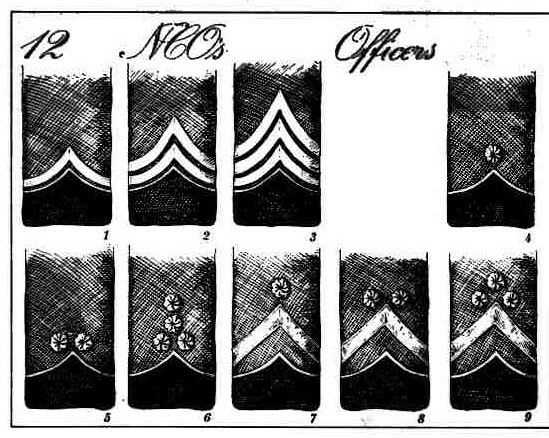 Officer's epaulets (abolished in 1812 to save money, and replaced by cuff/sleeve designs that varied by rank) were gold or silver, matching the button color of their regiment. Officers wore gold sashes with crimson stripes, also abolished in 1812 as an economizing measure. The crossbelts and waist belts of the enlisted men were white - replaced by black in the Jager companies only. brass buckles on the waist belts. 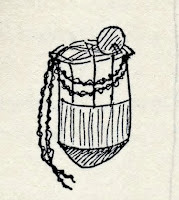 Drummers and Hornists had facing colored wings on the shoulders, with lacing and tassels in the (?) button color. 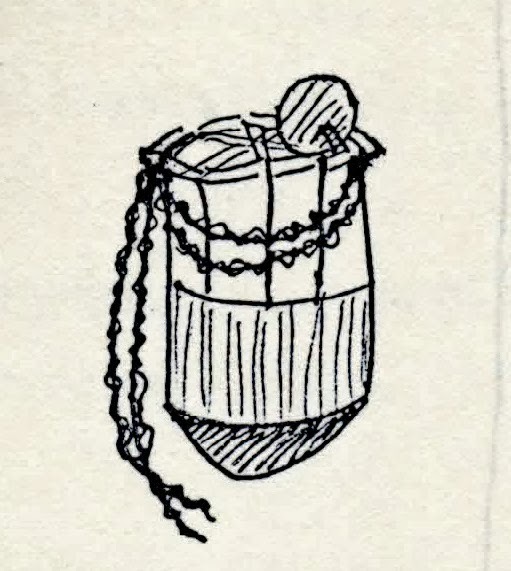 Drums were brass with red or dark blue rims, white tensioners. These were white in the summer; dark blue pants, often with "Hungarian knots" on the front, were introduced for winter wear in 1803. The shortage of Indigo dye resulting form the ongoing British naval blockade necessitated a change to dark grey for winter wear by 1813. In 1801, the infantry adopted a black hat with a rolled up brim, similar to that worn by the Swedes. There was a button and lop on the left, and a hat band, all in white or yellow according the button color of the Regiment. A short plume was worn on the left side of the hat - white for Musketeers, green for Jagers. the Grenadier wore a rather old fashioned cap, similar to that worn by Prussian Grenadiers up to 1806. The front was blackened metal, with a white caterpillar border over the top, running from ear to ear. There was a bass plaque on the front bearing a grenade emblem. On the left there was a plume, which could be either red over white or light blue over white. On the back of the Grenadier cap was a red bag or flamme, red piped white or yellow (? according to the button color). In 1803, the Grenadiers switched to a black/dark brown bearskin reminiscent of the Austrian style. this had a red bag piped in the button color on the back, with a tassel of the same color at the end.There was a leather peak on the front as well as a bras plaque on the front. A plume was worn on the left side which was white with a light blue tip. Officers of Grenadiers only had cords on their bearskins, gold mixed with crimson. The plumes were abolished in 1812, at least theoretically. Brown knapsacks, black cartridge boxes (with brass grenade plate for Grenadiers), swords for Grenadiers with red sword knots. Shorts swords for the Jagers who disn;t carry bayonets, which the Grenadiers and Musketeers did. Black shoes and short black gaiters for most, black boots for some. Canteens gun metal colored. Musket slings white, black for Jagers. Overcoats grey (red earlier). * Became the "Crown's" regiment in 1808; uniform unchanged. *** Became the Prince Christian Frederick's regiment in 1806; facing color changed to Dark Green in 1808. #, @ According to private correspondence from the curator of the Tojusmuseet, the Zealand regiment was disbanded in 1803, and used to expand the Marines, which were first established in 1798. ## The Marines performed poorly, and in 1808 three battalions were disbanded and used to form the new Copenhagen regiment. The final Marine battalion was disbanded in 1811. The Marines had had red jackets with dark blue facings and brass buttons, probably explaining the choice of facing color for the new Copenhagen regiment! @ Knoetel has the facings as Dark Green, but the other two sources list the Holstein regiment as having Black facings piped in white, with pewter buttons... Histofig adding that the collars of the regiment were piped in red instead of white! % Having a Danish regiment named Oldenburg might seem odd, until one recalls that the Kings of Denmark were of the House of Oldenburg! OK, on to some pictures! These are all from my collection of Minifigs, painted at least 2 decades ago. These are suitable for the later part of the Napoleonic Wars, and have only a few inaccuracies. This smart looking regiment has black facings piped white, with brass buttons. I have my units with one grenadier and one Jager company each, but as noted above strictly speaking it would be one or the other, depending upon the battalion. The 1st and 2nd battalions of the regiment carried flags in the facing color, with a small "Dannebrog" in the upper corner - more about the details of Danish standards later in this series. In regiments with white flags, the Dannebrog was rendered as a silver cross on red, instead of white on red. The piping on the bags of Grenadier caps for this regiment should be yellow instead of white - a detail I didn't know when I painted them. I should probably correct that! White facings, white metal buttons. One of the other minor inaccuracies is the lack of "wings" on the drummer figures. This picture shows the "bags" on the back of the fur grenadier caps very well. Cassin-Scott, Jack, Scandinavian Armies of the Napoleonic Wars, Osprey Men at Arms Series, 1976. Kannik, Preben Ed., Military Uniforms of the World in Color. Macmillan 1967. Figures 263 "Norwegian Life Regiment, Grenadier Lieutenant 1807 and 264 Fyn Light dragoons, Trooper, 1813 and accomopanying motes. Kannik, Preben, Plates and English Text on "Uniforms of Danish regiments 1807 - 1813" and Danish regiments - Colors". Snorasson, Torstein and Hansen, Chr. Wurgler, "The Assault on Srtalsund, 1809 Pat 1" in Tradition #52, pp 22-25, 36; "The Assault on Stralsund 1809 Part 2" in Tradition #53, pp 2-7; "Danish General Adjuntant c. 1806" in tradition #57, pp 14 - 15; "The Battle of Boden 4th Dec 1813" in Tradition #64, pp 14-16, 20. Strachan, Christian, "The Danish Army of 1808 - 1814" in Wargamers Newsletter #122 (May 1972), pp 7 - 9. (Total War Center Danish Napoleonic Uniform Thread". Designed to show uniforms for incorporating these armies into the Computer game, this thread actually has a LOT of good information and many quite decent if stylized original uniform illustrations. Well worth perusing! Danish Military History: The War with England, 1801 - 1814. In English, an account of the conflict with England. It brings home the devastating consequences of the war for Denmark as a world power. This is an online preservation of a fantastic old Geocities site on the Danish Military in the Napoleonic Wars. It includes all the battles of 1813 with accounts, and a map of the largest. Also a listing and chronology of Danish Army units during the Napoleonic wars. The names of the units are all in Danish. These are not hard to understand, although it can sometimes be confusing switching between the English, German (used in Knoetel and the NYPL collection), and Danish names for the same units! The Histofig pages for Danish and Norwegian troops and uniforms. 97 postcard type drawings of uniforms from the New York Public Library's Vinkhuijzen collection of military uniforms. Much useful material, especially for the pre 1808 uniforms. Website for the Tojhusmuseet in Copenhagen, featuring 500 years of Military History in the old Armory of king Christian IV. Not much useful information for our purposes, actually, but very useful if planning a visit to the city. An as yet inoperative webshop tab may be helpful for finding old and new reference materials in the future.